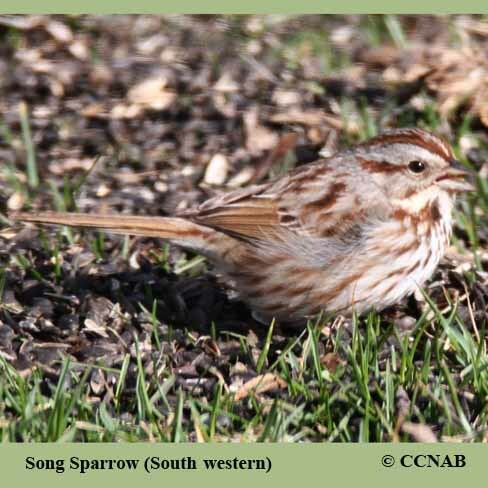 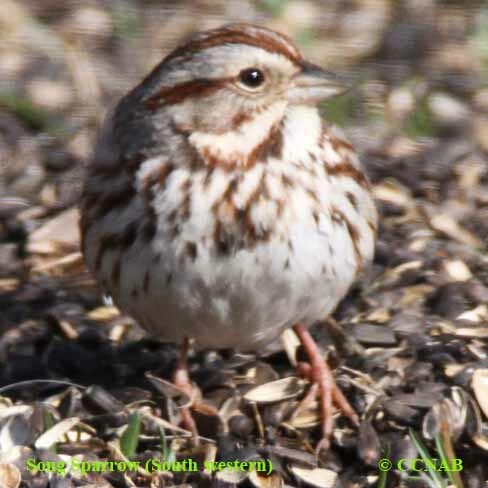 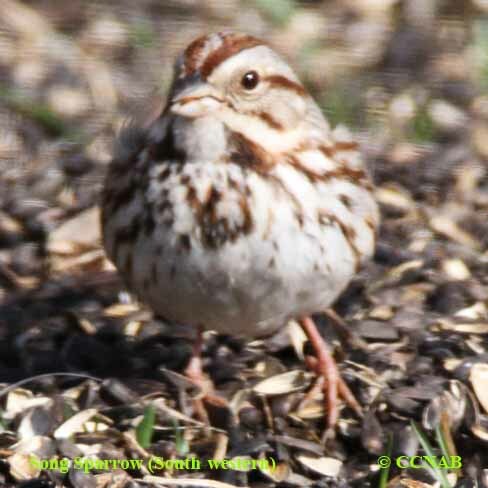 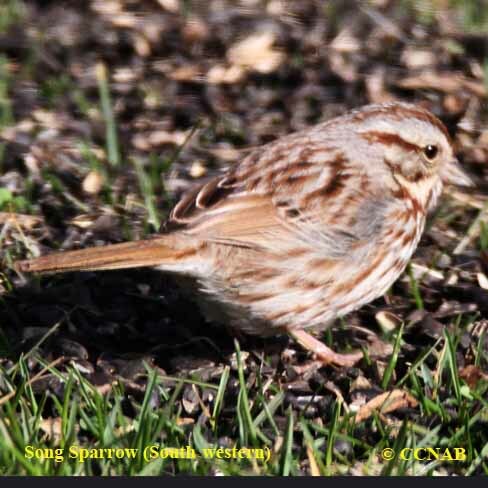 Song Sparrow (Southwestern) is another sub-species the Song Sparrow. 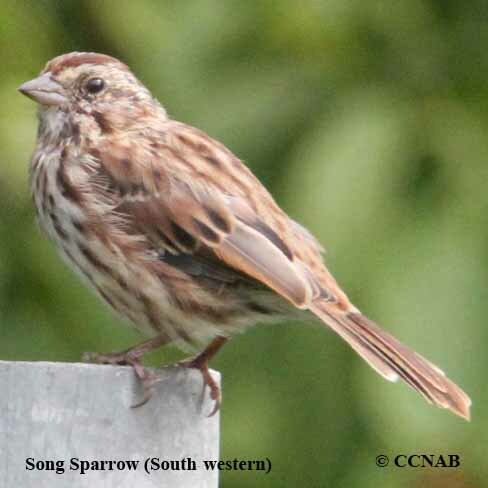 This rufous-coloured sparrow is found in the southwestern regions of the North American continent. 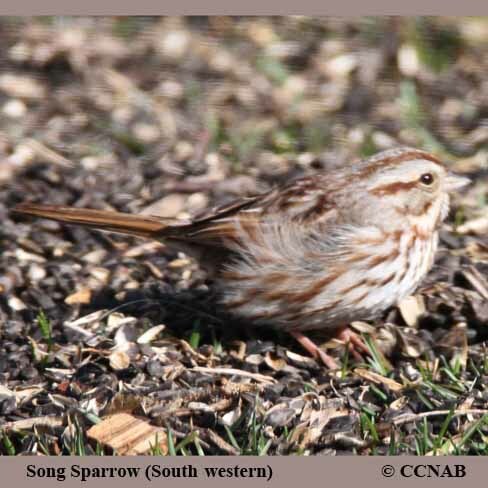 Its rufous colored plumage can be used to distinguish it from other Song Sparrow species, but is not an absolute method.